The country of Iceland, also known as the “Land of Fire and Ice,” will always hold a special place in my heart. It was in the capital city of Reykjavik, in the little downtown storefront chapel, where I was baptized a member of The Church of Jesus Christ of Latter-day Saints on the evening of Tuesday, 10 March 1998. I remember that it had snowed all that day and my friends and I were concerned that we would not be able to get from Keflavik Iceland, where I was stationed and serving on active duty in the United States Navy at that time, to Reykjavik for the baptism, but God smiled on us and heard our prayers and the snow stopped a couple of hours before it was time to leave. We were able to make it to the chapel and back before the next snowfall came. I was confirmed a member of The Church of Jesus Christ of Latter-day Saints and given the gift of the Holy Ghost on Sunday, 22 March 1998. I have always been a firm believer that God calls the person whom he needs to fulfill His purposes, at the exact time that He needs him, the period of time that He needs him, and in the exact place where He needs him to be. History and the scriptures are replete with accounts of those who were called at diverse times to fulfill the purposes of God. There were people like Moses, who was slow in speech and felt totally inadequate to do the things that God had called him to do, but God told him to open his mouth and He would speak for him, thus proving that God is not looking for great orators to serve Him, but He is looking for those who are willing to march on and press forward and deliver the message that He has for His people. There were people like the little shepherd boy David who seemed like the most unlikely choice to be called and used of God, but this shepherd boy was endowed with might and power from on high and was able to slay a mighty giant with just a shepherd’s sling and a few smooth stones, and then went on to become king, thus proving that God is not looking for the most popular persons to serve Him, but he is looking for ordinary people who are willing to go and do the things that He commands. And there were also people like Joseph Smith, a 14 year old, uneducated farm boy who dared to believe God’s Word when he read in the Bible. In James 1:5 he read, “If any of you lack wisdom, let him ask of God, that giveth to all men liberally, and upbraideth not; and it shall be given him”, and he went and knelt in the grove to earnestly seek direction from the Lord. There he was visited by the Father and the Son, and was called to bring about the fullness of the everlasting Gospel in this the last dispensation of times, thus proving that God is not looking for the Rhodes scholar to serve Him, but He is looking for the one who is humble, and whose heart is pure, and is willing to be an instrument in the Lord’s hands to do the work that He has prepared for him to do. Even as a young boy growing up in the Baptist Church, I have always felt the hand of God upon my life. I have always felt that somebody was calling my name and that there was a work that had been prepared for me to do. I have always had a love for the Gospel and had for a time pursued studies in becoming a Baptist minister. Through all of my studies I was never fully satisfied with the limited knowledge that I had obtained about the things of the Gospel. I always felt that there was some sort of spiritual void in my life that I desperately wanted to be filled. After many soul-searching hours of praying, pondering, and searching the scriptures for answers to the many questions that I felt were not answered through my studies alone, I humbly believe that it was the Lord who opened my eyes and led me to begin investigating the teachings of The Church of Jesus Christ of Latter-day Saints, sometimes inadvertently called the “Mormon Church.” Although I had never had any association with anyone who was a member of this Church, there was something about it that made my soul hunger to know more about it. Even the very name of the Church – The Church of Jesus Christ – stood out to me and testified to my soul that there had to be something uniquely different about this Church and I also felt that somehow becoming a member of this Church was a part of the plan that God had for my life. I investigated the Church and its teachings for several years, meeting with quite a few Mormon missionaries before making the decision to be baptized. I suppose the main thing that hindered me from making the decision to be baptized and to become a member of the LDS Church was my own intellectual prowess. I attempted to convince myself that I had been born and raised as a Baptist, I had been taught Baptist doctrine my entire life, I had read the Bible in its entirety six times, and that I should have been satisfied with the knowledge that I had obtained up to that point, as that was all that God intended for me to know at that time. I even began to wonder what others might think about me, or say about me, if I made the decision to leave the Baptist faith and become a member of The Church of Jesus Christ of Latter-day Saints. All the while I knew within my heart that someone was calling my name and that I needed to put all of my logic, reasoning, and intellectualism aside and heed the true voice that was calling me and not my own inner voice, or the voice of others. And the child Samuel ministered unto the Lord before Eli. And the word of the Lord was precious in those days; there was no open vision. And it came to pass at that time, when Eli was laid down in his place, and his eyes began to wax dim, that he could not see; And ere the lamp of God went out in the temple of the Lord, where the ark of God was, and Samuel was laid down to sleep; That the Lord called Samuel: and he answered, Here am I. And he ran unto Eli, and said, Here am I; for thou calledst me. And he said, I called not; lie down again. And he went and lay down. And the Lord called yet again, Samuel. And Samuel arose and went to Eli, and said, Here am I; for thou didst call me. And he answered, I called not, my son; lie down again. Now Samuel did not yet know the Lord, neither was the word of the Lord yet revealed unto him. And the Lord called Samuel again the third time. And he arose and went to Eli, and said, Here am I; for thou didst call me. And Eli perceived that the Lord had called the child. Therefore Eli said unto Samuel, Go, lie down: and it shall be, if he call thee, that thou shalt say, Speak, Lord; for thy servant heareth. So Samuel went and lay down in his place. And the Lord came, and stood, and called as at other times, Samuel, Samuel. Then Samuel answered, Speak; for thy servant heareth. Each time the Lord called Samuel he thought that it was Eli who was calling him. It was not until after Eli had perceived that it was the Lord who was calling the boy and asked him to lie back down and listen for His voice again that Samuel then knew also that it was the voice of the Lord that he had heard all along. Likewise, it wasn’t until I finally decided to let go of my inner voice and all outside influences and truly listen to the voice that was calling my name, that on 10 March 1998, like the boy Samuel, I was able to say, “Speak; for thy servant heareth” (1 Samuel 3:10). Since answering the call and becoming a member of The Church of Jesus Christ of Latter-day Saints, I have been blessed with many wonderful opportunities to serve in such capacities in my local congregation (called a “ward”) as Activities Chairman, Single Adult Representative, Sunday School Teacher (Teens), First Counselor in the Young Men’s Presidency, a member of two Bishoprics as both Second and First Counselor, High Priest Group Leader, and now as the Ward Mission Leader for the Annapolis Maryland Ward. A stake is comprised of a number of wards, and I have been privileged to serve as a member of the Stake High Council. I have also been blessed to meet several General Authorities of the LDS Church, and been invited from time to time to participate in various other Church related activities and projects. 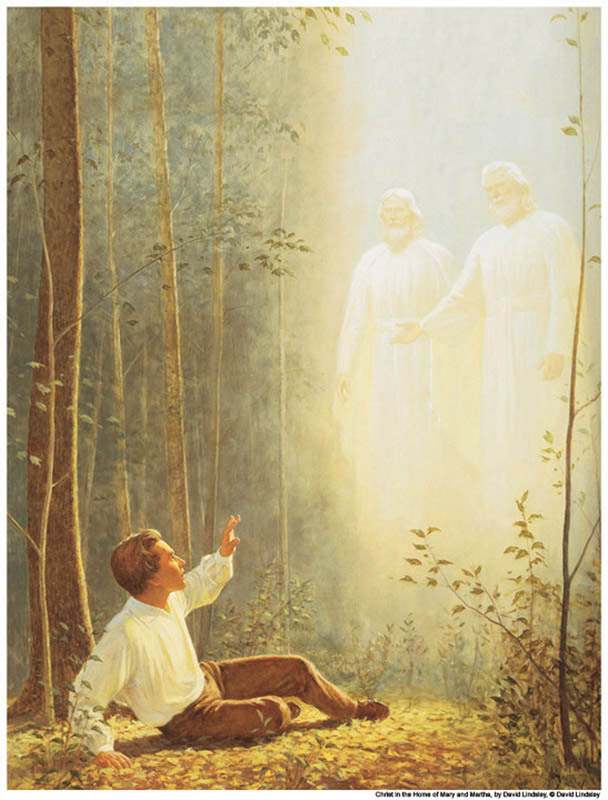 In the pages of my Patriarchal Blessing I am promised that as long as I am faithful, obedient, and willing to always listen to the voice of the Lord when He calls me, and like Nephi of the Book of Mormon to go and do the things which the Lord commands, the windows of Heaven will be open to me and I will be blessed with even greater responsibilities in the Church and will play a major role in helping to build up the Kingdom of God on Earth.